Directed and designed by Lauren Indovina and Lindsey Mayer-Beug. RISD 2005. Scroll below to watch Fish Heads Fugue. Click on gifs for full animation if browser stalls. 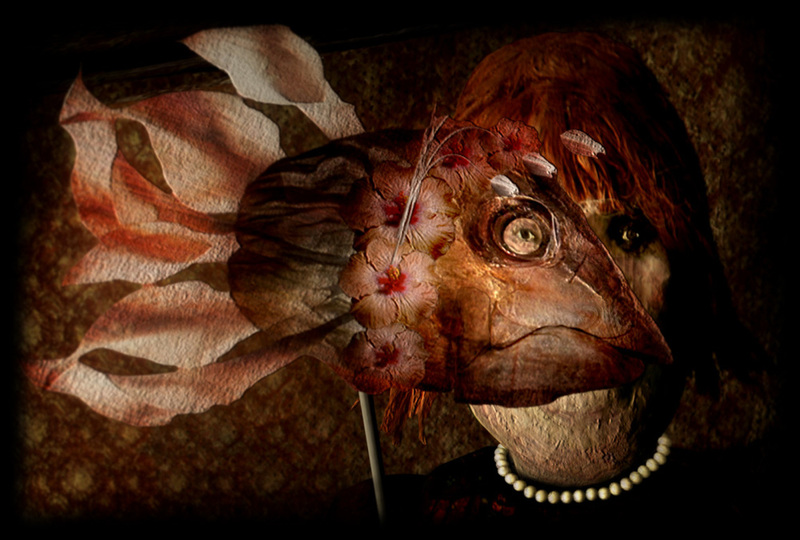 Fish Heads Fugue and Other Tales for Twilight is the 2005 RISD thesis film Directed, Designed, Animated and Produced by Lauren Indovina and Lindsey Mayer-Beug. The film was created in a 6 month span. At the time of its release, Lauren and Lindsey described the narrative as being "Through the device of a magic puppet theater, a small seer orchestrates a child's journey deep into a multilayered world of the imagination." Adds one film critic; "To add something to this bare description is very hard. The short has a fascinating visual style that hooked my eyes to the screen during the 6 minutes the movie runs. I'm not even sure which techniques have been used in the making of it. " Sound was designed by Sarah Orenstein . The film went on to win numerous awards and screened in animation festivals across the world. WINNER Best Undergraduate Animation Of 1900 submissions, 1 of 4 undergrad films and 1 of 109 selected to screen/ compete. Also selected by RISD for School Competition.